International diva Priyanka Chopra who dazzled at the red carpet for the world premiere of her forthcoming Hollywood project, Isn't it Romantic, was joined by hubby Nick Jonas. 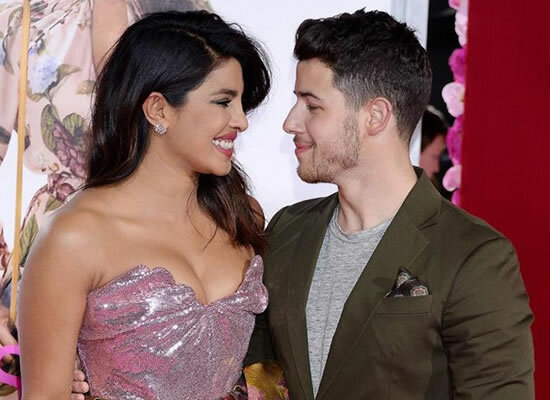 While Priyanka looked beautiful in a tube dress with a long trail, Nick looked attractive in a suit-buit avatar. The two walked in hand-in-hand and were even seen sharing a kiss on the red carpet. The proud hubby shared a few clicks from the event and captioned it, "Proud of my beautiful and talented wife @priyankachopra, and the entire cast and crew of Isn’t It Romantic. Everyone should go see this movie! @rebelwilson @andybovine @liamhemsworth @straussschulson." Home / Trending Now / Nick Jonas to join Priyanka Chopra for the world premiere of Isn't It Romantic!